I love a breaded and fried pork chop, but the frying part is not something that should happen all too often (sigh…) so the only solution is to bake them. Since I’m not going to give up everything, I still bread them. Ha! You thought you’d deprive me of everything did ya? Well I won’t take it! You won’t hold me down! I won’t be repressed! I won’t deal with this anymore and you can’t make me conform to th- …Oops. Sorry. I don’t even know who I was talking to there. I get a little passionate about flavor…. Awkward… Your hair looks cute today by the way. 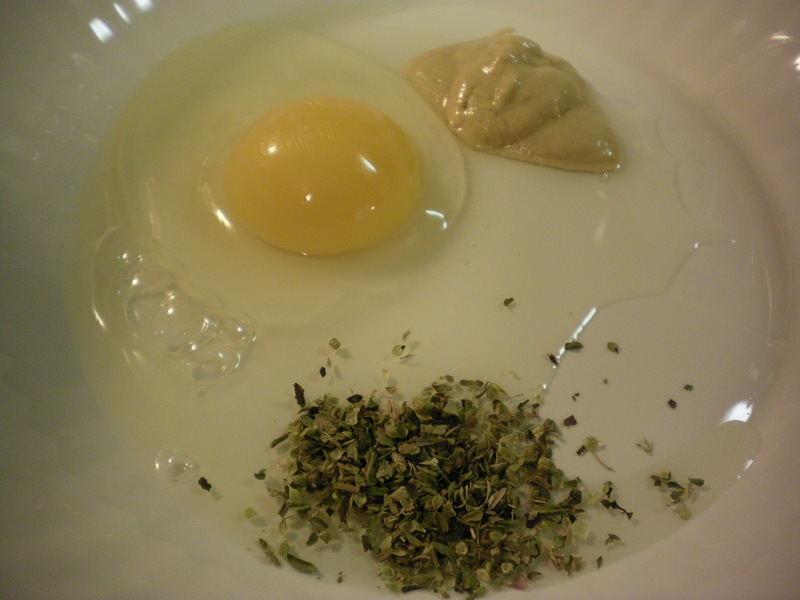 So anyway, to start let’s get the egg, about a teaspoon of mustard, and a teaspoon of oregano in a bowl and mix them up. 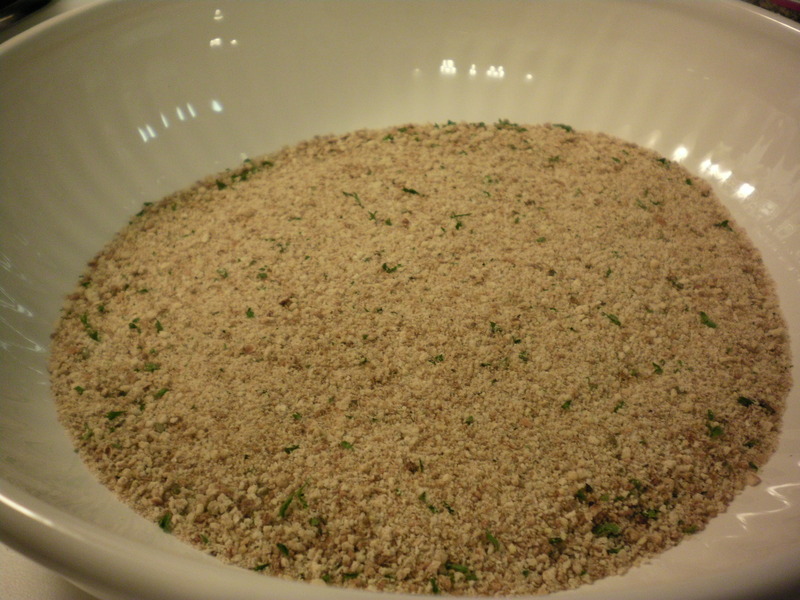 In another bowl, dump out about a cup or so of bread crumbs. Now is also a good time to pre-heat your oven to 350. Ok, so line a baking sheet with foil and coat it with non-stick cooking spray. Take your chops and dip them one at a time first in the egg mixture and then into the crumbs. Flip them all around to get them evenly coated. 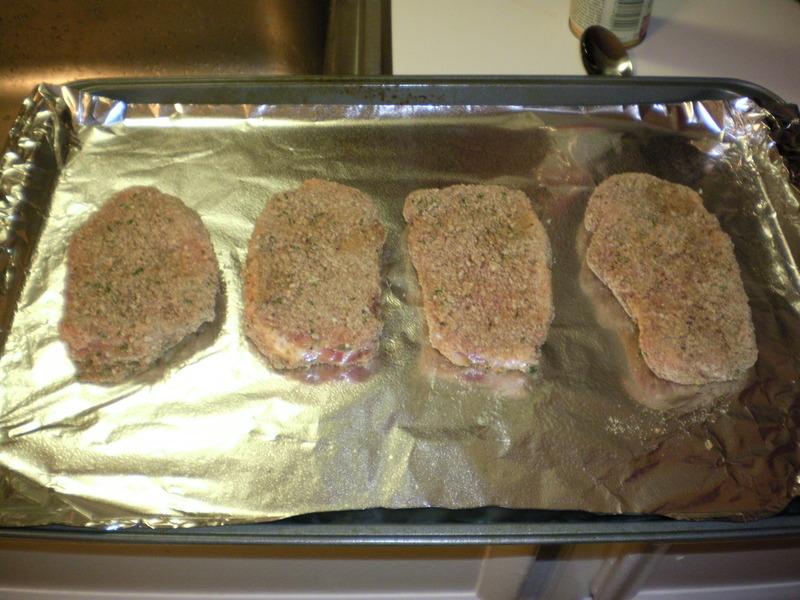 Place the chops on the baking sheet and bake until golden and crisp. I think this took about 25 minutes give or take. Keep half an eye on them and you’ll see how they come along. While the loveliness is baking away, go ahead and start the salad. 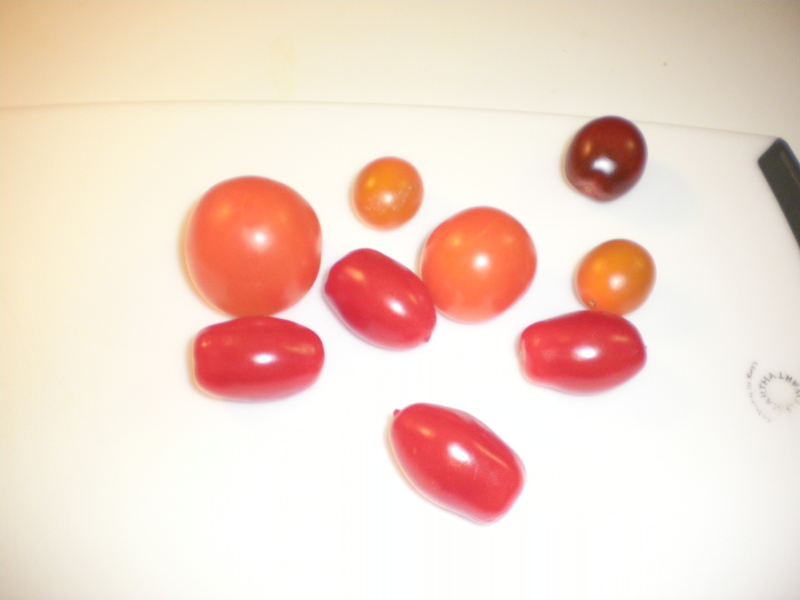 So grab your tomatoes and lightly seed them. 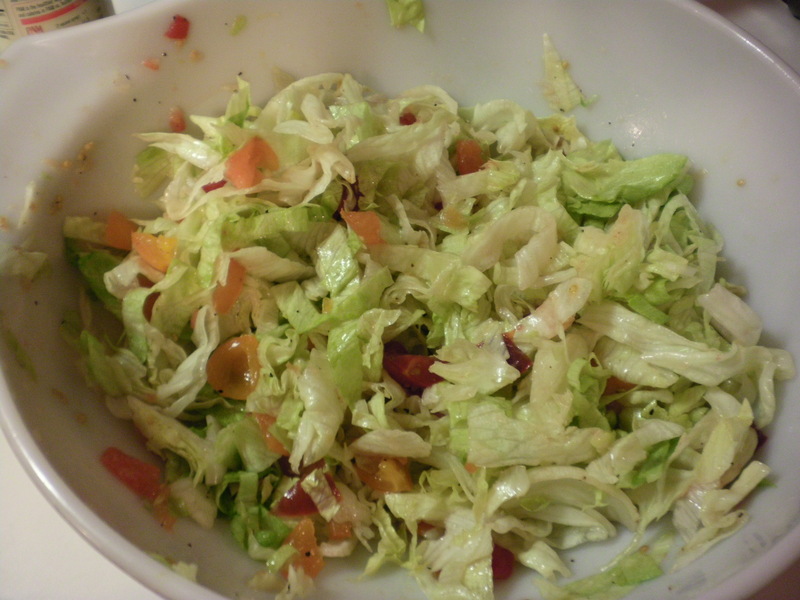 Chop them up into small bits and put them in the bottom of the bowl you plan to serve your salad in. 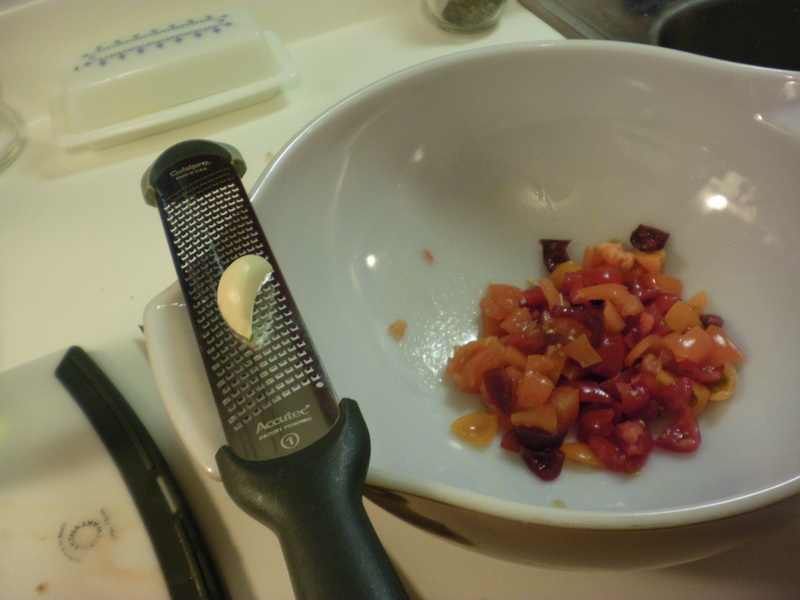 Using a microplane or cheese grater, grate in HALF the clove of garlic. If you use the whole thing, it will be too much and will go from garlic scented to garlic saturated. Normally that’s great for me but not in this dish. Once you’ve got the garlic in, squeeze in the lemon juice and drizzle the mixture with olive oil. 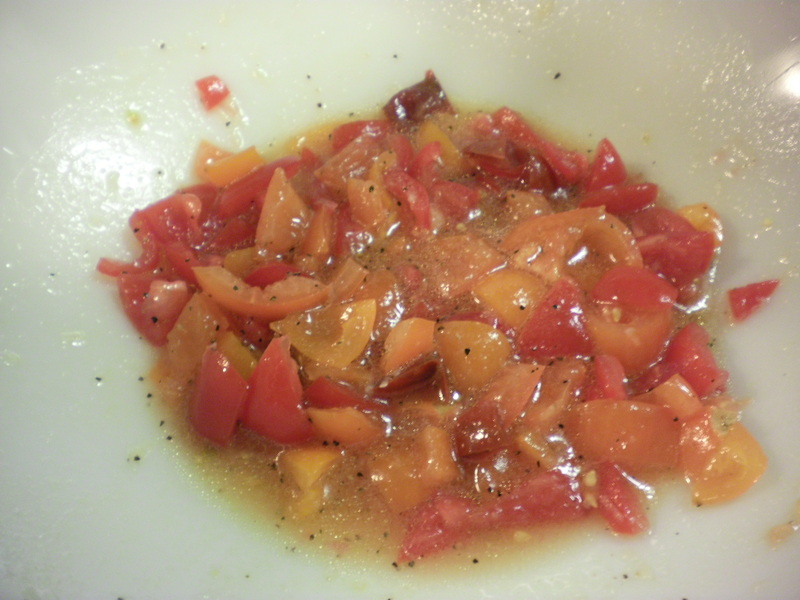 Add some salt and pepper to taste and theres your dressing! Taste it. Its glorious. Ok, so while that’s hanging out and the chops are still baking, go ahead and get some heat under a pan with some olive oil in it. 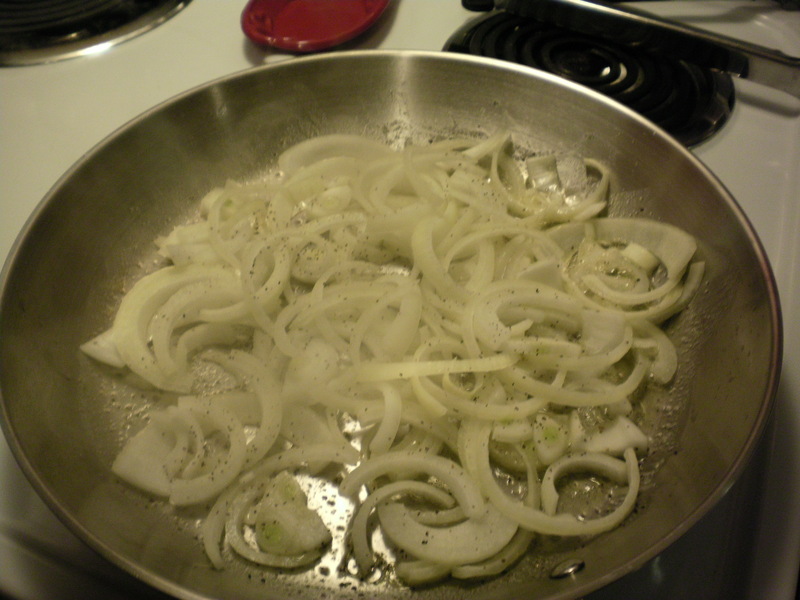 Put the whole sliced onion in there with some salt and pepper and cook it til the onion is soft and browned. Ok so the chops are ready to be pulled out of the oven and it’s time to add the salad part of the salad to the bowl. I have to tell you how ticked I was when I pulled out my brand new package of mixed field greens only to find that they were rotten on the bottom. Ughhhhh! After I finished cussing out the grocery store in my head, I remembered that I had a head of iceberg lettuce in the fridge and it would have to do. You have to improvise sometimes. So I washed it, sliced it up, put it in the bowl with the dressing and tossed it around to coat it. So here’s the finished dinner plate! Despite my minor setback with the greens, it was delicious and light. 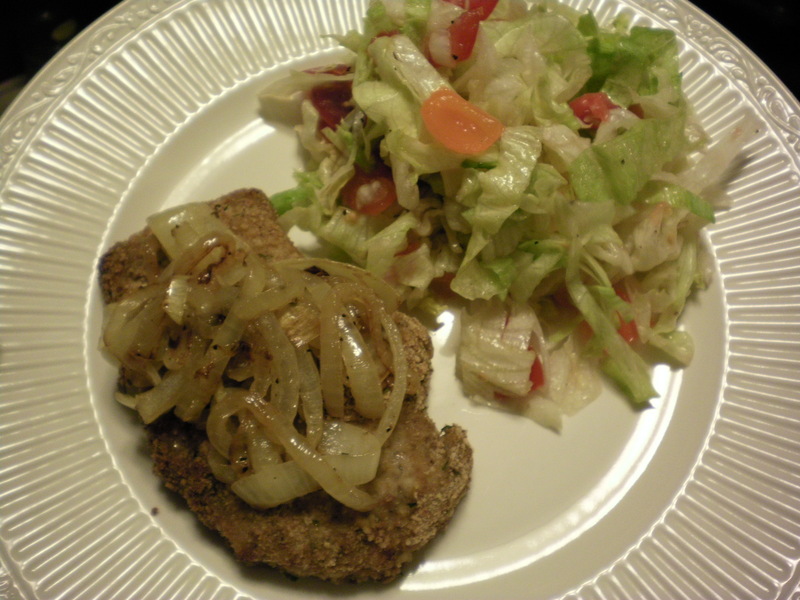 The pork chops have incredible flavor and coupled with the salad the whole thing really works. 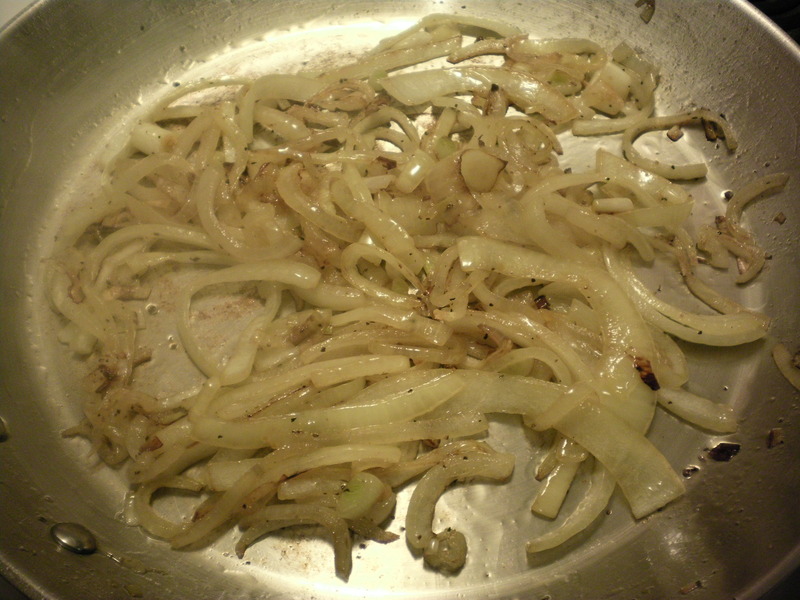 Pile the onions on top of the chops because it’s better that way and looks pretty. I hope you enjoy this recipe with family, friends, or just by yourself! Thanks for stopping by and I hope to see you back real soon.